Shaker al-Khatibi al-Shaibi said in an interview with the Tasnim News Agency that none of the Arab countries of the Persian Gulf region is immune to the wave of Islamic Awakening that started blowing from north Africa, adding that Saudi Arabia is more concerned about this wave than any other country in the region. “That is the reason why the Saudis have chosen to suppress the revolution of the Bahraini nation, as they want to prevent the spillover of the revolution of Bahrain into their country,” he said. All dictators in the region will be swept aside by the wave of Islamic Awakening as was the ousted Egyptian autocrat Hosni Mubarak and the Libyan strongman Muammar Qaddafi, added the Iraqi politician. “What is going on in the region has originated from the thoughts of the late Imam Khomeini and a continuation of the revolution that he led to victory”, said Shaker al-Khatibi al-Shaibi. The eastern region of Saudi Arabia has witnessed a deadly cycle of demonstrations, shootings, and detentions for more than two years. Since February 2011, protesters have held demonstrations on an almost regular basis in Saudi Arabia, mainly in Qatif and the town of Awamiyah in Eastern Province, primarily calling for the release of all political prisoners, freedom of expression and assembly, and an end to widespread discrimination. However, the demonstrations have turned into protests against the Al Saud regime, especially since November 2011, when security forces killed five protesters and injured many others in the province. Amnesty International has called on Saudi authorities to stop using excessive force against the protesters. The UK-based Islamic Human Rights Commission says that political prisoners in Saudi Arabia are usually arbitrarily detained without charge or trial. 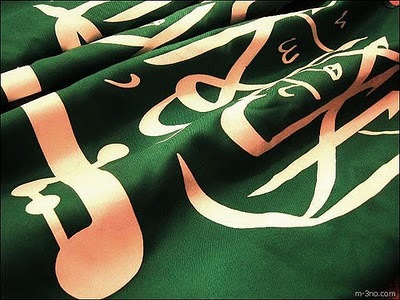 The Commission describes Saudi Arabian political imprisonment as “an epidemic” that includes “reformists, human rights activists, lawyers, political parties, religious scholars, bloggers, individual protesters, as well as long-standing government supporters who merely voiced mild and partial criticism of government policy.